Here at the Center for Ecolonomic Excellence and Development (CEED) and Nourish the Planet (NTP) we are excited to hold our “Huddles” webinar for our staff, interns, alumni and guests every FIRST and THIRD Wednesday of every month. Our next live webinar will be held on Wednesday, 16 September 2015, at 01:00 PM MST. It will be live for our audience at the NTT/CEED headquarters and also over the web. We are proud to present our next webinar huddle guest Aja Duniven. Click Here to go to the registration page. Aja has an innate desire to help alleviate suffering for others and bring peace to the world. She has created a playful and fun set of transformative games that weave players through real world events, cartoon worlds, and personal growth through storytelling. She pays immaculate attention to the smallest details that show players the world is changing before their very eyes and was designed for them to have fun becoming who they were born to be while helping others do the same. These transformative processes are woven though several business structures that all work together for a meaningful brand experience. Aja founded the nonprofit organizations Global Peace Train and the Coalition for Collaborative Development in order to deliver these tools to those ready to become who they really are and dedicate their lives to the benefit of others and our planet. Animate Inc. was designed to produce the cartoon worlds and real world videos that help tell the stories of transformation. And Pratique clothing is an all natural clothing line, made with the highest integrity, in order to bring transformation into everyday life as players become characters in both the cartoon world and the real world. No words can describe the experience of what Aja calls the Presentville Game (TM). You must be lucky enough to come across one of the gates into Presentville and take action to begin your own adventure. There are many places to start, many different clues… and only one pathway that was made just for you. Click Here to Register for the Live Event. Even if you can’t be in the live audience, you should register because then you can watch the replay later. Here’s the replay of the NTP?CEED Bi-Weekly Hangout With Sara Mayerour , webinar guest. Sara was known as the “Chicken Woman” to her teacher in elementary school. By the age of fifteen she had 200+ chickens and was selling fresh eggs at the local farmer’s markets. We had another exciting huddle at the NTP/CEED headquarters. 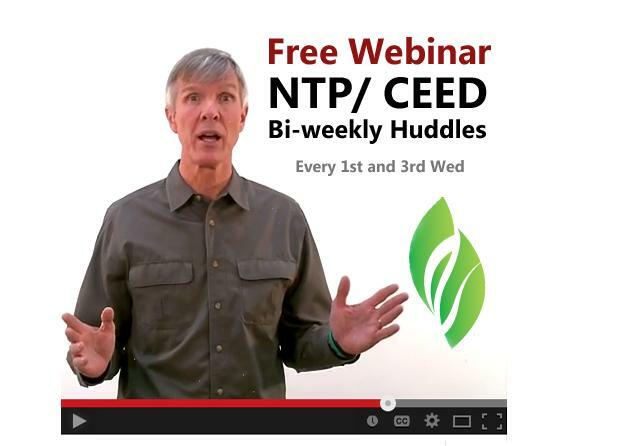 This week for the NTP C.E.E.D bi-weekly huddle we brought on Grahame Rees from Australia! Alicia Rocco, Natural Health Practitioner and owner of Alpaca Fiber Insulation Company of Ohio, talked with us about integrative medicine and her life. We’re delighted to have Giuseppe La Manna, CEO/CTO – EcoLogix Sustainable Business Solutions, LLC as biweekly Huddle/ Webinar guest. Mr. La Manna is Italian born and US educated in Electronic Engineering. After 32 years as an entrepreneur in Venezuela, and 5 successful start-ups, he is now CEO/CTO of EcoLogix. Based in Coral Gables, FL, this business is a management consulting firm specializing in Integral Sustainability. This approach aims for “whole system” sustainability within a business and its relationships, related to green, renewable and energy efficiency. We also got to know Janie better and learned about the life path that led her to where she is today. Here at the Center of Ecolonomic Excellence and Development (CEED) and Nourish the Planet (NTP) we are excited to be doing daytime “huddles” for our staff, interns, alumni and guests every FIRST and THIRD Wednesday of every month. 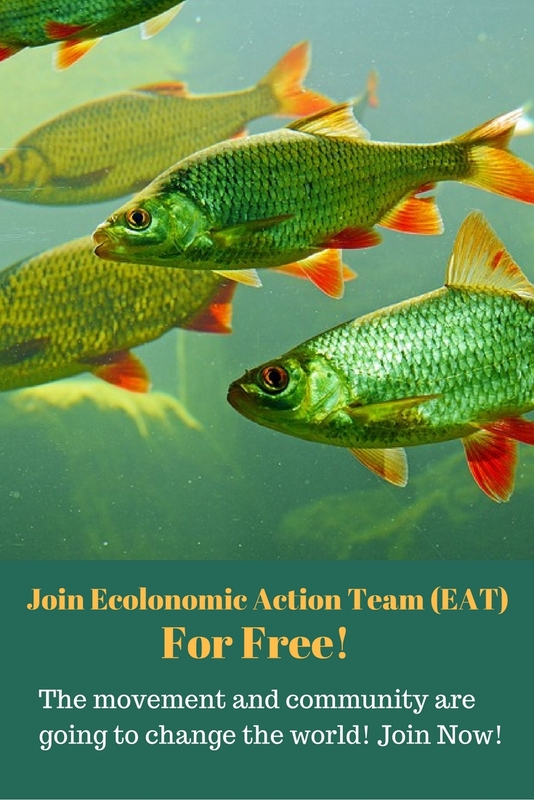 Dr. Wayne Dorband discussed the Healthy Ecolonomic Life Program or HELP. This program shows you how you can change your life primarily through your diet and exercise, enabling you to live a life where you are happy, healthy, productive and more efficient. Our facilitator, Dr. Wayne Dorband, has directed our operations from the start and knows more about our efforts than anyone. He will seek the thoughts of other staff throughout the Huddle. This week, our webinar featured Tracey Long, a local food activist, with an amazing track record of inspiring communities to come together and create sustainable local food sources. Watch her intimate interview with Wayne Dorband, as she talks about her achievements, experiences, goals, and many cool stuff. Our Weekly NTP/CEED webinar huddle, with our interns, and a live world wide audience, This week we did a replay of an older webinar with Amy Hutton, where she gives us ideas on sustainable farming. It’s amazingly informative. View recorded version of our second NTP/CEED weekly Huddle webinar/seminar on Wed. Feb. 5 at the Loveland CEED Headquarters.On our second Huddle we discussed all the projects, programs, and ventures in which we are involved. This includes views of our websites and other cool stuff. We had a great time last Wed. (Jan, 29 ) at our first weekly NTP/CEED Huddle seminar/webinar. Our interns and staff had a great time as the local audience. There were some great questions and answers from our group. You can watch a replay of this new event here. Give us some of your comments. You can now view the recorded version of previous Ecolonomics in Action Webinars on YouTube. Please click here to view our channel.